Thanks to technology, the unpleasant (and anxiety-inducing) sound of the dreaded drill has become a thing of the past. The following technological advances will make your trip to the dentist today more pleasant than ever. Digital photography has made it possible for Dr. Ganjoor to take before and after pictures, so you can see your smile transformation. Intraoral cameras take digital photos of the inside of the oral cavity, and the dentist can zoom in to assess the fine details of teeth and gums. This helps with accurate diagnoses for more precise treatment planning. Digital X-rays require less radiation, which reduces the patient’s exposure. These innovative images are also highly detailed and easy to store and transfer online. 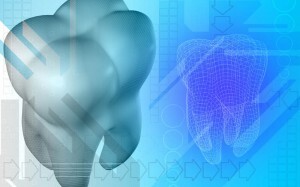 Cone beam 3D X-rays provide Dr. Ganjoor with a three-dimensional view of your teeth roots and jaw structure. These X-rays provide unprecedented insight for treatment planning implant and orthodontic cases. Ultrasonic scaling uses sound waves to vibrate plaque and tartar off of teeth. Instead of a traditional metal scraper, our hygienists can use ultrasonic scaling for a less invasive and more comfortable dental cleaning. VELscope oral cancer screening allows us to detect potentially dangerous squamous cells beneath the surface of soft oral tissue. By the time the cells reach the surface and create a visible lesion, if they are cancerous, treatment could be less effective. Studies show, finding and treating oral cancer in the earliest stages leads to the most promising outcome for patients. At Celina Family Dentistry, we pride ourselves on staying abreast of the latest technological advancements in dental care to better serve you and your family. Whether you need restorative, preventive, or cosmetic dentistry, Dr. Ganjoor and our friendly staff have you covered. Call our Celina dentist office today to schedule an appointment at 214-851-0130. We serve patients from Celina, Prosper, McKinney, Frisco, Anna, Pilot Point, and the surrounding areas.